"Walk as if you are kissing the Earth with your feet." Thich Nhat Hanh Isabel is originally from Luxembourg. She first came to yoga through Ashtanga yoga in Luxembourg some 12 years ago when she wanted to heal from highly emotional unrest. She is practicing since then and today is a 500hrs certified yoga teacher from the Sivananda lineage of India. Her practice becomes more and more integral, meaning focusing on all aspects of the yoga practice, physical, physiological, psychological and spiritual. She sat through several 10-day silent retreats in meditation in Nepal and Mongolia. 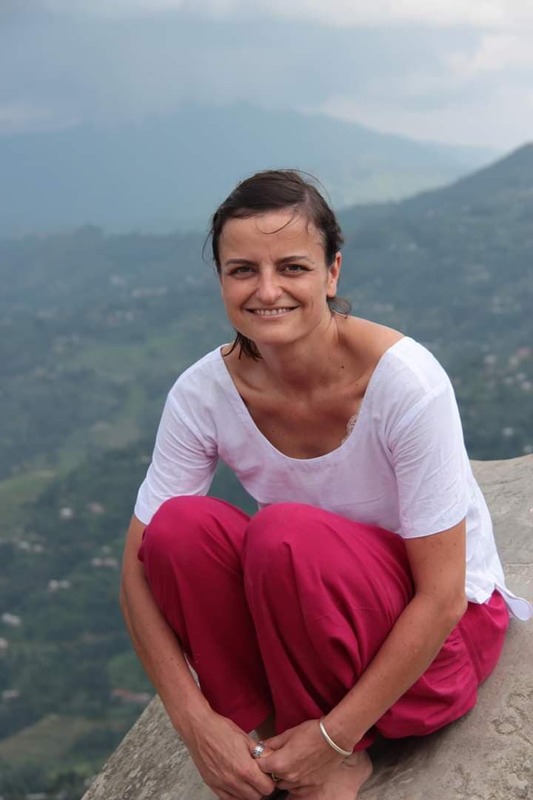 She trained and taught classes and retreats in Northern Thailand, Kerala India, Nepal and Luxembourg, sharing the benefits of yogic lifestyle. Her other passions in life are traveling and walking in nature. As she worked, lived and traveled on 3 continents she got the opportunity of extensive hiking exquisite landscapes... her favourite being the Himalayas. Walking silently in nature to her has become one of the most effective medicine for all mental ailments, as is proper breathing to the body. The silent morning walk is an opportunity we give ourselves to start each day with a positive outlook and a fresh motivation to reconnect with our true nature, becoming and staying mindful throughout all activities in our day. We will practice mindful walking and breathing and also rest in a short sitting meditation to really allow settling and going deeper within, experiencing that body-mind connection that is yoga.